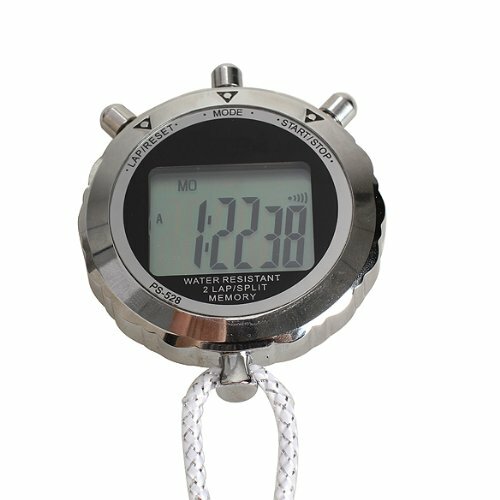 Sports digital stopwatch chronograph timer. This digital stopwatch is great for tracking athletes. It features mental construction and easy to read LCD display. Sports Stopwatch shows month, date, week, hour, minute and second. 1/100 second chronograph up to 23 hours 59 minutes 59 second. Digital chronograph with AM / PM indicator. 12 / 24 hour optional. Hourly chime function and alarm function are included. SPLIT/RESET, MODE and START/STOP buttons for convenience operation.